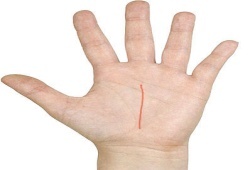 A vertical line running up the palm toward the middle finger will be called the Fate line. 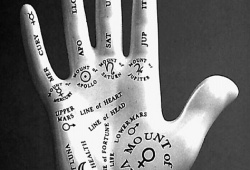 Sometimes, it’s also called as the “Saturn line” because it points to the middle finger (or Saturn’s finger). Or sometimes it’s called the “Luck line” because it refers to the success of the bearer. To some people, reading the Fate line on hand is quite important, for it mentions our nature and common approach to life. You will never find out this special quality in the 3 remaining lines. 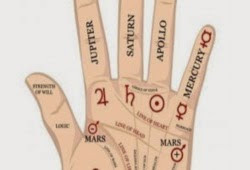 Fate line on your right and left hand – what does it mean? If you have the Fate life on your right hand, it will point out how you can arrive at your purpose in life. It also refers how enthusiastic you are to complete missions and attain aims in career. Look! If this line is straight, long, deep and with no breaks, the bearer might have all the significant tools to attain their own aims. 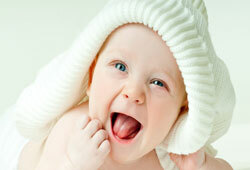 Moreover, this person will have an eager and diligent attitude to complete every task. You can call those who have a deep and long Fate line as a “workaholics” because they will attempt their best to accomplish assigned tasks. Furthermore, they love looking for other jobs to work after finishing. They rarely stop, and even they will find any job when going on a vacation. Although having this line on the right hand is a wonderful gift for particular successes in the outer world, the bearer should take care of their health and remember to take some breaks to rest. To those who have a long and deep Fate line of the left hand, they will work hard to satisfy all demands from their family. 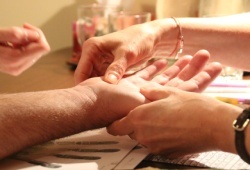 It’s because the left hand discloses the inner world of personal demands and family life. The bearer with this line will not waste too much time and energy on works outside their home. Their biggest interests are close their family and friends. How about a short Fate line? In case that you have no Fate line or a short Fate line, that means you are free to take a break in the center of any job and switch your concentrate and energies to something else totally different at any time. You won’t have a strong desire to accomplish your tasks in one setting. You will never let everything until tomorrow. Luckily, with a missing or short Fate line, you will be easy to get along with and ready to play anytime. Send us your questions about the article “Fate Line On Hand” in our contact form below for our rapid responses! 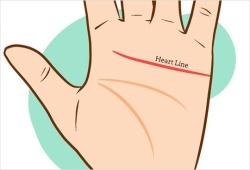 Previous article: What Do The Lines On Your Palm Mean Medically?